Roads and Traffic - Other - Other News!!! A massive blaze underneath Interstate-85 in Atlanta, Georgia, has engulfed and destroyed a portion of the highway and left cars stuck both north and southbound. 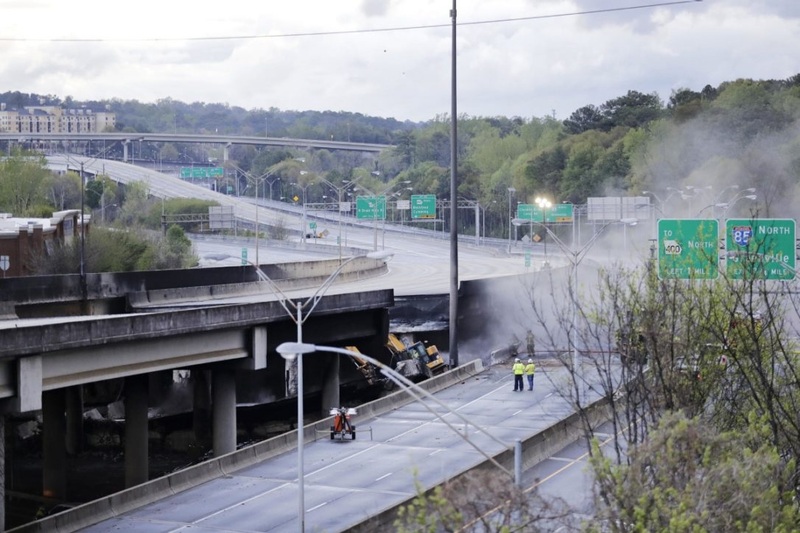 I-85 northbound collapsed at Piedmont Road after less than an hour of the flames being reported. After the collapse, around 7:30pm EST, Sgt. Cortez Stafford of the Atlanta Fire Department told Fox 5 Atlanta the fire was being "contained" and that no firefighters were injured.